RUSH: Take a look at Apple. 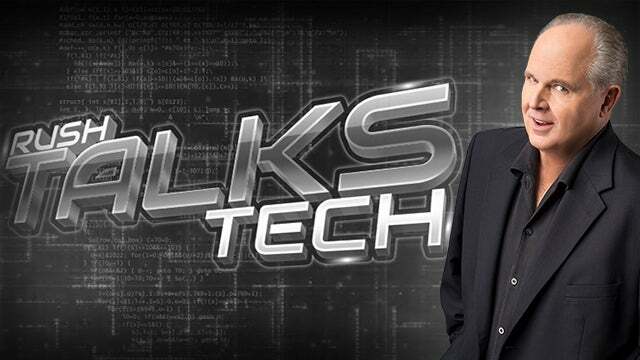 I read the tech blogs. This news made it beyond the tech blogs. This news was all in the mainstream. The iPhone was a flop, that Apple had really misjudged, that this was gonna be a dismal quarter. I mean, there were stories saying the iPhone was a flop, that sales are way down. And it’s every year the tech media does this, and every year they’re wrong at this time of year. When they report, when they are reporting up to when Apple reports its fiscal second quarter results, every year for 15 years they’ve gotten this wrong. And they got it wrong again. And there’s a couple stories I want to share with you about the mea culpas, why they got it wrong. No matter where you go in the media, we are finding abject stupidity or ignorance combined with incompetence. And it matters. It matters greatly. I don’t know what kind of people journalism schools are turning out, but they’re not turning out people able to think. They’re turning out cookie cutter, groupthink people who have a definition of journalism that is so far away from what it really is, it’s just astounding. And the reporting on the iPhone and Apple in general and their financial health and what it was gonna be the second quarter, they couldn’t have been more wrong. But the thing is they’re wrong every year at this time. They predict this stuff every year. And their sources are wrong every year. Their sources are supply chain people bought and paid for by Apple competitors. They’re wrong every year, and yet they continue to be wrong every year. And it’s equivalent to the mainstream media, the Drive-By Media being wrong every day about most of the stuff they report on, particularly when you get to the Trump dossier, the Steele dossier and all of that. 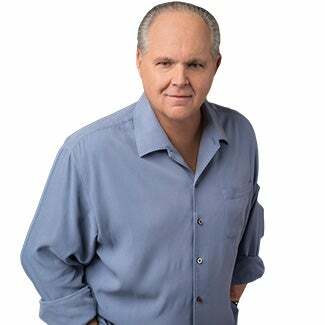 RUSH: I’m gonna take on the Apple iPhone story here again as a media object lesson, and the thing to understand here is that in tech media… It’s even bleeds over into mainstream media, but in tech media, Apple is the equivalent of Donald Trump to mainstream media. Apple is the equivalent of conservatives to the mainstream media. Apple is hated. Apple is hated because it wins. Apple is hated because it’s rich, because it’s successful, because it continues to dominate. And I am not exaggerating when I tell you. I’ve been reading tech media intensely for five years and in each of these five years… Apple has a business year like everybody else, and their first quarter, fiscal first quarter is the fourth quarter, according to the calendar. So October-November-December is Apple’s first fiscal quarter. Of course that’s the holiday quarter, and that’s where the bulk of Apple’s sales take place every year. It’s established; it’s known. The second quarter for Apple is January through March. The third quarter is April through June. And like clockwork… I’m not kidding. Like clockwork, beginning in January, tech media starts writing stories from the supply chain saying, “Apple is having trouble selling iPhones after the Christmas quarter,” that nobody’s interested, that the people that make the displays. People that make the chips, they’re inventoried. They’re way too many. Nobody’s buying iPhones like they were in the fourth quarter; it portends big trouble for Apple. Thirty days before a company reports quarterly earnings, they’re not allowed to say anything in public. It’s an SEC law or rule. So whatever is in the media — Apple reported yesterday — 30 days prior, Apple can’t say a word. Nobody can. No business can. Now, here’s a report from yesterday from one of the guilty. Bloomberg News is one of the worst contributors here and a reporter there, a guy by the name of Mark Gurman. This is after Apple reported record-breaking iPhone sales again in the first quarter with record revenue and a record average selling price. Now, this little sentence here, “The stock had fallen in recent weeks on concern about demand…” There wasn’t any lack of demand! You people in the media created the concern! You created the impression that there was no demand for the iPhone X, and now you write about it as though it happened without you having anything to do with it? “The stock had fallen in recent weeks on concern about demand…” What concern? There would have been any concern if you people in the media had not raised it. This guy, Mark “Gurman specifically crafted a story about slower Display Panel segment growth at Samsung…” Samsung makes the OLED screen for the iPhone X, and Samsung reported in their quarterly earnings that they had not sold as many OLED panels as they had expected and the media said, “See? 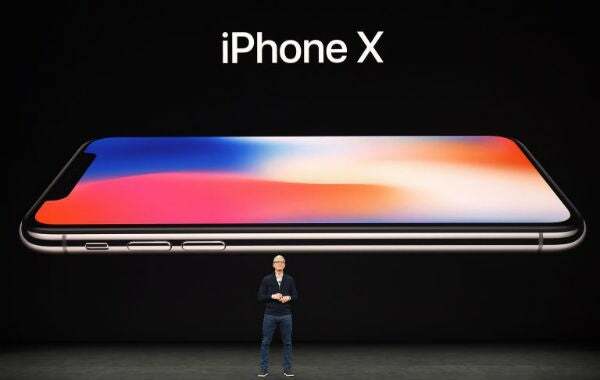 It’s the iPhone X! Nobody’s buying the iPhone X.” Well, that’s not what Samsung said. Samsung said that the high-end segment of their OLED panel business was healthy as ever. That’s the iPhone segment. They just made up what Samsung was saying and applied it to Apple, when it wasn’t. And just like the Drive-By Media thinks what they think is exactly what the American people think, these tech people thought that the iPhone X was too expensive, so everybody thought that and wasn’t buying it. The pundits didn’t like the notch in the iPhone X. So they reported that nobody liked the notch in the iPhone X — and then they didn’t like Face ID. They liked Touch ID but they didn’t like Face ID at all and they thought everybody hated it. It turns out these three features are among the most popular of the iPhone X, despite the media reporting that nobody likes ’em. So you just have to ignore everything you read about the iPhone, whatever. The iPhone X or what the new one’s gonna be in September, because make book on it. Every January the media — in concert with Wall Street analysts and supply chain people — are gonna start talking down the success of the latest phone. It’s not what everybody thought it was gonna be, Apple’s in trouble, this may be the end of the iPhone run for ’em. And it’s an object lesson in how media is literally lazy, dishonest, and biased. And the parallels between the way they treat Apple here and the way they treat Trump or the way they treat conservatives are so close that it’s eerie. RUSH: I checked the email during the break. Look, I’m not defending Apple. Apple’s big boys, can defend themselves. That’s not the point, folks. I’m talking about the media and what is predictable, what is dishonest. The media reporting on Apple since January has driven the stock price down 6%, so the way to look at this is the right time to buy Apple stock is when you see in the media Apple being ripped as having blown it. An iPhone underselling that nobody wants. That’s your cue to stand by, the price of the stock is declining, buy it where you think the low is, and you’ll end up making a lot of money. And maybe whoever’s behind this, that could be the purpose, drive the price down to make it more affordable to buy some, knowing the next time Apple reports the stock’s gonna come back up because the media is gonna have been demonstrated again to have been dead wrong about it all.